RAYONG PROVINCE, Thailand -- Along a green lake in Wangchan Valley, students clad in purple-and-green uniforms stroll around a school campus surrounded by woods that stretch across the northern Rayong province in Thailand. They are part of some 200 students at the Kamnoetvidya Science Academy (KVIS) in 10th, 11th and 12th grades, who are chosen among some 5,000-7,000 applicants through a multilayered screening process each year. All of the students, as well as teachers, are required to stay on weekdays in dormitories or other facilities located some 160 kilometers southeast of Bangkok. 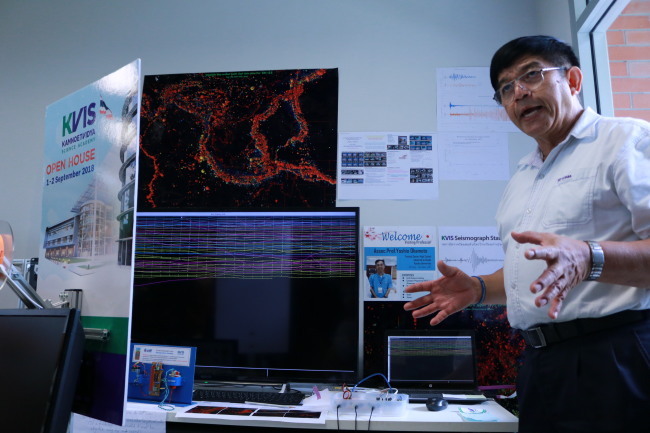 The students, who are all Thai, make it a rule to use English as a medium in classes, which feature 3D printers, microcontrollers, seismic monitoring devices or electron microscopes with X-ray microanalysis. While largely following the national curriculum, the students must also engage in science, technology, engineering and math research projects. Comprising four schools -- energy science and engineering, molecular science and engineering, biomolecular science and engineering, and information science and technology -- the academy highly anticipates a boost in science and technology development capabilities in Thailand, especially in the Eastern Economic Corridor that spans three provinces in eastern Thailand -- Chonburi, Rayong and Chachoengsao. “KVIS has a vision of being a world-leading science high school, nurturing future researchers, inventors and innovators to strengthen sustainable national development,” said Rachain Kosanlavit, principal of KVIS, to participants of a recent ASEAN + 3 New Media Familiarization Trip hosted by the Thai Foreign Ministry. 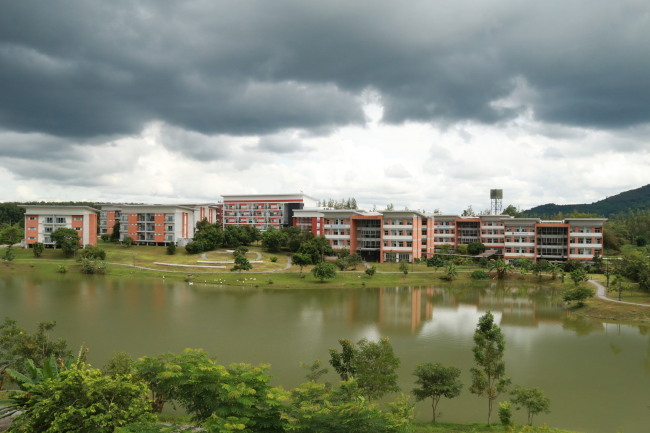 Founded in 2015, KVIS has received Thai oil conglomerate PTT Group’s investment in academic facilities in Wangchan Valley -- alongside a graduate school, Vidyasirimedhi Institute of Science and Technology. Through the project backed by Thai Princess Maha Chakri Sirindhorn, KVIS received some 6 billion baht ($185.3 million) for academic park construction. This comes in line with industry-academia cooperation led by the Thai private sector. 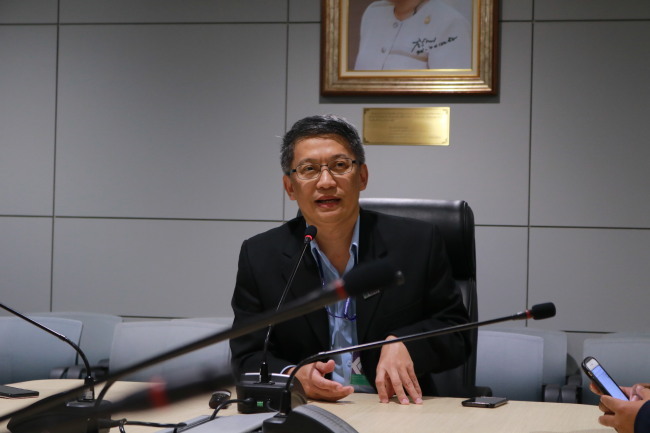 Another Thai giant, petroleum refiner SCG Chemicals located in the EEC, has partnered with Oxford University in the United Kingdom to develop technology for its products since 2015. KVIS’ first two international partners were both Korean entities: Gyeonggi Science High School for the Gifted and Korea Science Academy of Kaist. For example, physics teacher Min Medhisuwakul and chemistry teacher Suranan Anantachaisilp, both faculty members of KVIS, joined KSA of Kaist for training in 2016 and 2017, respectively. Conversely, KSA chemistry teacher Chun Man-seog came to KVIS in late 2017 as a visiting professor. In addition, KVIS has hosted exchange programs for teams made up of Korean students and teachers. The exchange was made on the grounds of a memorandum of understanding between the two institutions in 2015. Other partner institutions are located in Hong Kong, the United States, Japan, the Philippines, the Netherlands, Russia, Taiwan, Indonesia, the United Kingdom and Canada, according to Kosanlavit. Efforts to make KVIS a research capability driver appear to have borne fruit. “Every science school is under different circumstances, and to some schools, the circumstances wouldn’t allow a school to focus on academic research,” Chun of KSA told The Korea Herald.